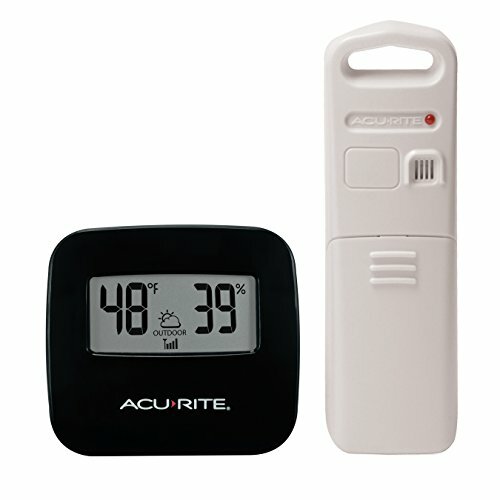 The AcuRite wireless indoor/outdoor thermometer with temperature and humidity offers convenient and reliable readings. The main unit displays indoor temperature and humidity where it sits, while the wireless temperature and humidity sensor lets you keep tabs on a second indoor or outdoor location. The bold, easy-to-read LCD screen displays indoor or outdoor temperature and humidity and can be set to automatically toggle between indoor & outdoor readings. 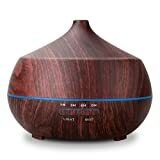 The indoor/outdoor thermometer and humidity sensor offers a 165-foot (50 meter) wireless (433 mhz) range. The digital display stands upright for tabletop use and is wall-mountable for convenient set-up at your preferred location. One-year limited warranty. It's more than accurate, it's AcuRite.